Pregnancy Wishes for Sister : For a woman, pregnancy is the power. After all, it’s about making another human being inside the tummy of a mother. Pregnancy can also be delightful and exciting. It is the great achievement of a couple to have a child. So, a pregnant woman deserves that her family member, friends, and loved ones will shower herself with happiness and blessings. 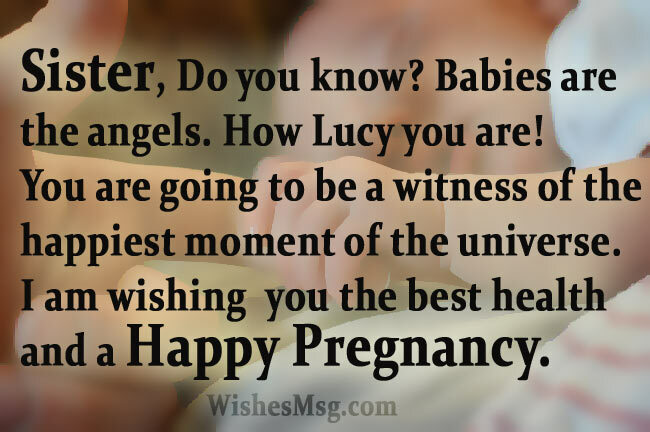 Send pregnancy congratulations wishes and messages to your sister on her newly discovered pregnancy. Express your feelings about the good news by texting her. 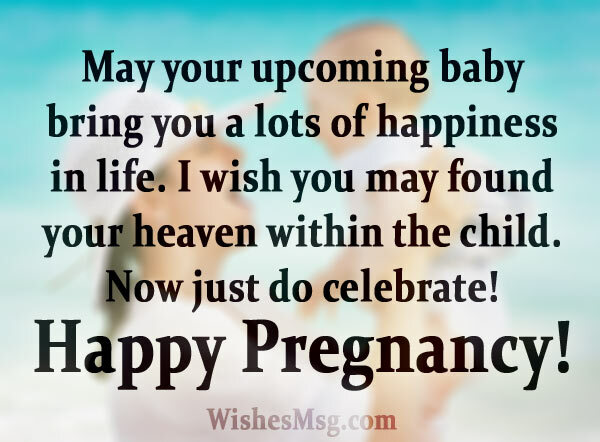 Share the joys and happiness of her by making good luck wishes for pregnancy. Advice her to keep good health and take the best care of herself so that it could make sure that the baby stays healthy. 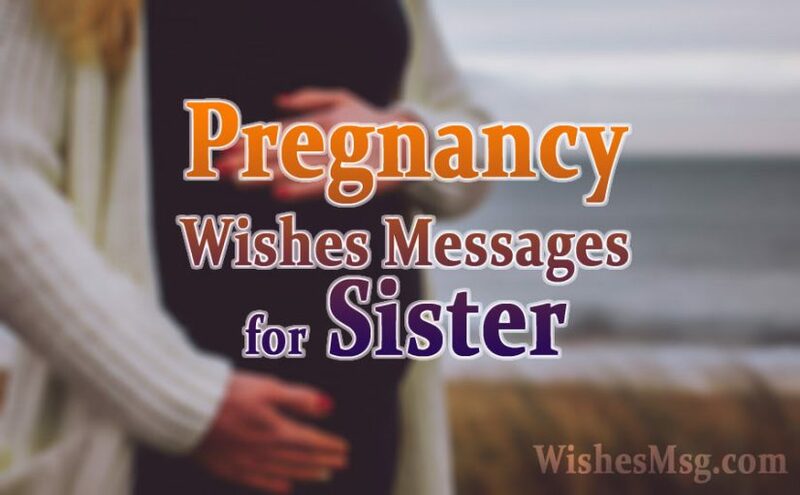 Here we suggest some pregnancy wishes for sister and congratulation messages for a happy pregnancy. No matter what growing inside your tummy, my nephew or niece. 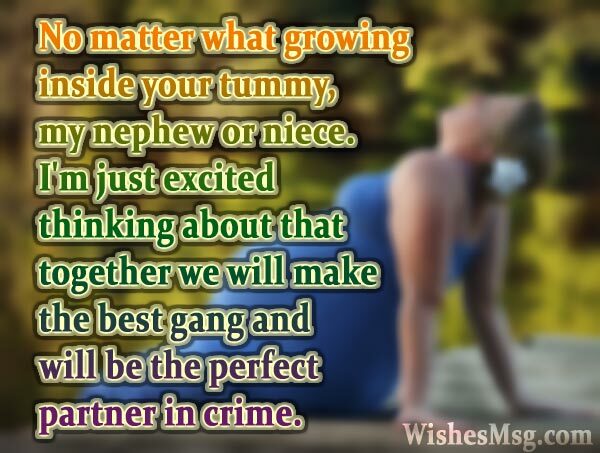 I’m just excited thinking about that together we will make the best gang and will be the perfect partner in crime. When I brought any gift for you, your excitement being Over-abundance. Now the most precious gift is waiting for you. Congratulations on being in a family way! May God bless you. Hey Sister, when I came to know about your pregnancy news, I really can’t wait for the time when I hold my nephew’s hand and make him able to walk. Congrats on your pregnancy. When I closed my eyes, the scene is just before me that “my little niece hold my hand and bear a pack of colorful balloons in her tiny gripe. I am waiting for comes it true. Happy pregnancy! Dear sister, Congratulations for being pregnant. I am going to be the coolest uncle. As, I am a bike rider, so there is coming to a very skilled bike rider in our family. Sister, do you know? Babies are the angels. How Lucy you are! you are going to be a witness of the happiest moment of the universe. 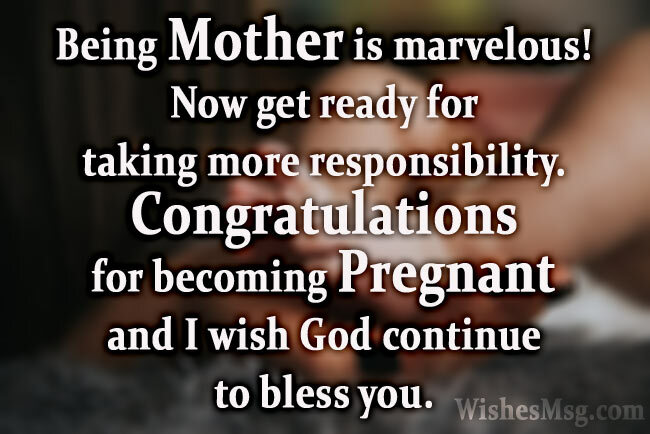 I am wishing you the best health and a happy pregnancy. You have no idea about my excitement! The news of your pregnancy makes me the happiest person. I can’t believe that someone will call me Sweet Uncle. For the first time, it seems to me that I am going to be a witness of the beautiful moment of the world, that an angel comes to the Universe and fill up all lacking a life. Hey moron! I can’t believe that you are going to be a mother! Now, I am expecting that my careless sister will be the most caring mother. Congratulations! Hello dear, welcome you to the mother’s community. You are going to be a proud member of here a few months later. Take the best care of you and the life growing inside you. My dear sister, I am going to share a secret information with you. Form the date I came to know about my upcoming niece, I reserved an amount from my pocket money for buying chocolate for my nephew. My dear sis, now you are pregnant. Pregnancy is a wonderful miracle, I am sure that you will be the best mother. Take special care of your health. Being mother is marvelous! Now get ready for taking more responsibility. Congratulations for becoming pregnant and I wish God continue to bless you. If you have never seen the incredible beauty of the world, then stand before the mirror and look at you now. Congrats on your pregnancy. Dear moron. I have never seen you to success at any step of life, I have never seen a donkey like you! But at the first time, I could say that “you are the most successful woman of the Universe”. I know you are so much worried that you are getting fat day by day. But at this time don’t try to control diet. Take healthy meal and best care about yourself. Happy pregnancy! On your marriage ceremony I attended without any gift, but on the news of your pregnancy you deserved a wonderful gift from me and I will not cheat you. Congratulations on your pregnancy. Let your heart be filled with all the joys of the world. You are going to be a mother. It is the best feelings of the universe. Talk the best care for you and I’m wishing you the best. Do you know my sister, What’s the best achievement of one’s life? It is being a parent. So, you are on the way of the best achievement. I wish you will the best mom. You always looked for a job. Now, the new job is waiting for you. The baby in your tummy is the boss of the office and you have to be a very obedient servant. Life without a baby is like a Tree without leaves. You bring the news of happiness. Congratulations on getting pregnant. I can’t wait for the day that I can finally call myself as Uncle. Take care of yourself and make sure that the baby remains healthy. I am not praying for a baby boy or a baby girl. I am only praying to God for a sound baby. May Almighty keep him/her with the blessing. You are going to enter into a new phase of life. And as a mother, you have to take more responsibility. I am wishing you all the best with joys. May your upcoming baby bring you a lots of happiness in life. I wish you may found your heaven within the child. Now just do celebrate! Happy pregnancy! My dear Sister, I really have never seen a lazy person like you in my whole life. It’s the ending time of your laziness. Be ready for my upcoming nephew. Happy pregnancy!